Have you ever looked for The Key which would allow you to unlock the door to complete fulfilment? Would you like to accumulate as much material wealth as you desire? Do you want to experience truly incredible self-confidence, passionate relationships and the ultimate in physical energy and vitality? Do you want to break out of the 9-to-5 rat race and start living life on your terms? The word power sometimes has negative connotations, especially when we think of those individuals who abuse positions of authority or exploit other people. In the sense that we use the word here, however, power should be viewed as something wholly positive, because it is the only thing that will ever give you the ability to create and live your life exactly as you see fit. In today’s world, if you don’t have any power then you won’t have much control over your life. You won’t have much freedom either, because that is also something that comes from having personal power. Take a look around and you will see millions of people in precisely that situation. 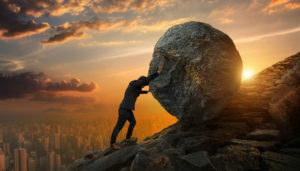 They spend hours working at jobs they hate, they receive poor rewards for doing so, and they can find no way to improve their situation no matter how hard they try. Many of those people also tend to feel just as powerless in the rest of their lives, and express varying degrees of dissatisfaction with their relationships, their physical and mental health (weight problems, stress and anxiety are very common complaints) and their lifestyle in general. Those who try to change their lives usually make the mistake of focusing on the individual problems that they face, and so they make huge efforts to earn more money, get in shape, reduce their stress levels and improve their relationships. Although such intentions are admirable, that kind of approach seldom works over the long term because it doesn’t address the one thing which is causing their problems in the first place – the simple lack of personal power. If you are someone who wants to change your life in a meaningful way, focusing on solving individual problems is a waste of time, because even if you succeed in solving one problem, you will usually find that another arises to take its place. Indeed, this is how most people live their entire lives – by facing one problem after another, and often without very much rest in between! The solution, then, is not to focus on solving your problems in isolation, but to focus instead on increasing the amount of power that you have in your life as a whole. The purpose of The Key to Power is to teach you how to do exactly that – and a whole lot more! 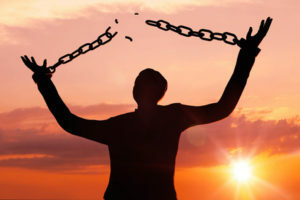 The Key to Power is a unique self-study program which enables anyone to develop and unleash their inner power in order to create the life of their dreams. 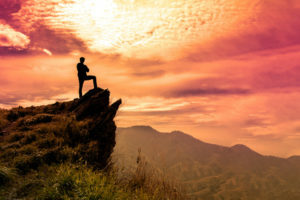 This remarkable program is presented as a series of 12 Power Levels, each of which builds on the previous one to take you, step-by-step, on a journey from wherever you are right now to a place where you have total and complete power over every aspect of your life. ► Accumulate as much wealth as you desire. ► Ensure that if anyone gets a ‘lucky break’, it will be you. ► Conquer any bad habit instantly, including smoking, drinking, nail-biting and any others that you want rid of. ► Lose weight, build muscle and create the physique of your dreams in a matter of weeks – without fail. ► Attract a new lover or revolutionise your existing relationship with a passion-power that is irresistible. ► Live stress-free and enjoy complete peace of mind regardless of the circumstances that life throws at you. ► Experience immense physical and mental energy. ► Become a winner in almost any situation. ► Get other people to want to help you in any way they can, and without you having to exert pressure in any form. ► Learn any skill (such as speaking a foreign language or playing a musical instrument) in far less time than it takes the average person. ► Become 100% self-reliant and break out of the rat-race forever. All of this may sound rather incredible to you right now, but take another look through that list and you will notice that none of the benefits listed are at all unreasonable, let alone impossible to achieve. On the contrary, if you think about it, you can probably name dozens of people who enjoy all of those things. Do you know of someone who always has more than enough money to spend as they please? Do you know someone who is always lucky? How about someone who is in great physical and mental shape? Someone who has successfully beaten bad habits? Someone who speaks more than one language, or plays a musical instrument to a high standard? Someone who wins consistently? The chances are high that you know of quite a few people who enjoy that kind of success in life, but even if you don’t, you can easily prove that they are out there by picking up any business or celebrity magazine, or by switching on the television. Is that what you’re thinking? Because the truth is that they really aren’t. The only thing that separates you from celebrities and other people who are already living the lives of their dreams is the fact that you haven’t yet developed the kind of personal power that they have. In all other respects, they are flesh-and-blood, just like you. The Key to Power will teach you how to develop your own personal power so that you too can start living the kind of life that you know, deep down, you were born to live. You weren’t born to spend decade after decade struggling against circumstances. You were born to grow strong and to thrive, just like everything else in the natural world. And with The Key to Power, you finally can! The power you need to succeed is already lying dormant within you. The Key to Power won’t give you an extra helping of power in a gift-wrapped box, but it will teach you how to find the power that you already have, how to develop it, and most importantly of all, how to use it to recreate every aspect of your life to your own specifications. There is so much more that could be said here, but it should be quite clear by now that The Key to Power is no run-of-the-mill study program. It is unique in both content and quality, but most of all, in results. By the time you have mastered The Key to Power, you will feel like a totally different person, and that’s because you will be a totally different person. The Key to Power will enable you to become the type of person you have always wanted to be. The Key to Power will enable you to live the kind of lifestyle you have always wanted to live. 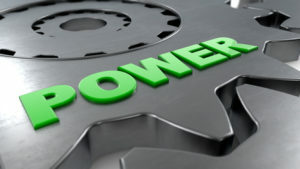 Who can benefit from The Key to Power? The Key to Power is for anyone who wants to develop and unleash their personal power in order to transform every aspect of their lives for the better. The program will work for anyone, so it doesn’t matter if you are male or female, how old you are, or where you live. If you are reading these words and you want to change your life, The Key to Power is for you. 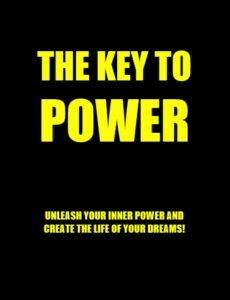 The Key to Power will be delivered as a single PDF volume which contains all twelve Power Levels, as well as an introduction to the program and instructions on how you should use it for maximum benefit. The PDF has been specially designed so that it can be read with ease on computer screens, tablet devices and even on many smartphones. You are advised to study The Key to Power at the rate of one Power Level per week, and if you follow that suggested schedule you should have completed the program in twelve weeks. You can, of course, work your way through the program at a different pace, if you would prefer, but most people find that one Power Level per week is perfectly manageable. What makes The Key to Power so unique and special? There are several possible answers to this question, but the most important one is the fact that it helps you to develop your inner power and then put that power to work to create change from the inside out. When you have completed The Key to Power, not only will you have created the life of your dreams, but you will have done so by recreating yourself on a physical, psychological and spiritual level. Do I need to believe in anything for The Key to Power work? All you need to believe in for The Key to Power to work is yourself. That’s because, as stated earlier, the power that will change your life is already within you – it just needs to be developed and applied in a certain way to get the results you want. Is The Key To Power a religion? Absolutely not. The Key to Power consists of 12 Power Levels which, when mastered, will give you the power to create your own personal reality in any way you choose. The actual system is based on a synergy of completely natural sciences and can be followed by anyone, regardless of their religious persuasion or lack thereof. Is The Key to Power positive thinking? No. The Key to Power is not based on positive thinking, rebirthing, visualisation, affirmations or any of the other old-hat ideas. Neither is it a course in business or psychology. Instead it is a complete, self-contained synergistic system which will enable you to integrate the power of your mind and body for truly life-changing results. It is a science of personal power, pure and simple. If the secret of The Key is so good, why share it? Once a person has mastered The Key to Power, it quickly becomes apparent that there is no need to keep it a secret. The power of this program is not diluted if it becomes well-known. Rather, it is increased. It is therefore being offered to anyone who is looking for a one-stop self-help technology that works in the real world. Is my success with The Key to Power guaranteed? Your success with The Key to Power is dependent on your willingness to apply what you learn, but if you follow the instructions provided, your success is assured. In addition, it is worth noting that all orders are processed via Clickbank, so your investment in the life of your dreams is also backed by a 60-day no-quibble money-back guarantee. What is it like to have mastered The Key to Power? To be frank, the feeling of having mastered The Key to Power is almost indescribable. Imagine being able to accumulate as much wealth as you desire, to enjoy real passion in your personal relationships, to lose weight and create the physique of your dreams and to silently influence anyone in any direction. Once you have mastered The Key to Power, you will have total control over every aspect of your life. You will be able to be, do and have whatever you desire. In a nutshell, you will be the closest thing possible to a super-man or woman. Please forgive the cliché, but today really could be the first day of the rest of your life. Request The Key to Power today and you will be able to use it to unleash your inner power and transform every aspect of your life beyond recognition. Just think, when you have mastered The Key to Power you will be enjoying a whole new way of life. No more money worries. No more failing to make the grade. No more misery and disquiet. No more stress or lethargy. Instead, you will be a person who has taken back control. A person who makes things happen because you have discovered that you have within you an amazing power which you can direct and use to create your own reality. The more people who discover and benefit from this program, the better, and so we have made every effort to make The Key to Power an affordable option for everyone by offering it at the incredibly low price of just $27. That is just $2.25 for each of the twelve Power Levels, which is comparable to no more than a weekly cup of coffee for the duration of the program. 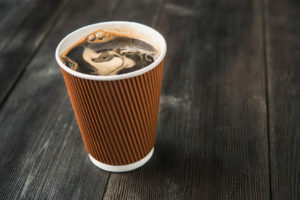 Whether you choose to invest in a dozen cups of coffee over the next 12 weeks, or you acquire The Key to Power instead, is entirely up to you. However, do remember that your choice is not between whether or not you wish to invest in the program, but whether or not you are prepared to invest in yourself. Request The Key to Power right now, and it is only a matter of time before you will look back in amazement. Indeed, today will be the day that you will forever remember as the day that turned your life around once and for all, for you are just moments away from discovering the power that lies dormant within you. The Key to Power is provided only so that you can develop your inner power and use it to bring about change in your own life. Before choosing to study this program, you must agree that you will not use your personal power, or any of the techniques revealed to you, to take unfair advantage of others. Requesting a copy of The Key to Power indicates your acceptance of this condition. Obtain The Key to Power Today! As mentioned earlier, all 12 levels of The Key to Power are being presented in a single PDF volume so that you can download and start using it right away. Simply follow this link or click the button above to request your copy using the secure Clickbank service, and you will be able to download The Key to Power to your device – and embark on your journey of a lifetime – within a matter of minutes. Remember, you weren’t born to spend decade after decade struggling against circumstances. You were born to grow strong and to thrive, just like everything else in the natural world. And now, with The Key to Power, you finally can!